Our Past is A Treasure, Our Present is Vibrant, and our future is Bright. Iron Ore Mine Hike. Meet at Sunnybrook Park 6:30pm. About 1 mile trail walk / hike. Flashlights encouraged. Parade! Parade forms at Anytime Fitness and begins 5pm down East Market St, then Mill Street. Coles Hardware Parking lot All-town block party after parade! 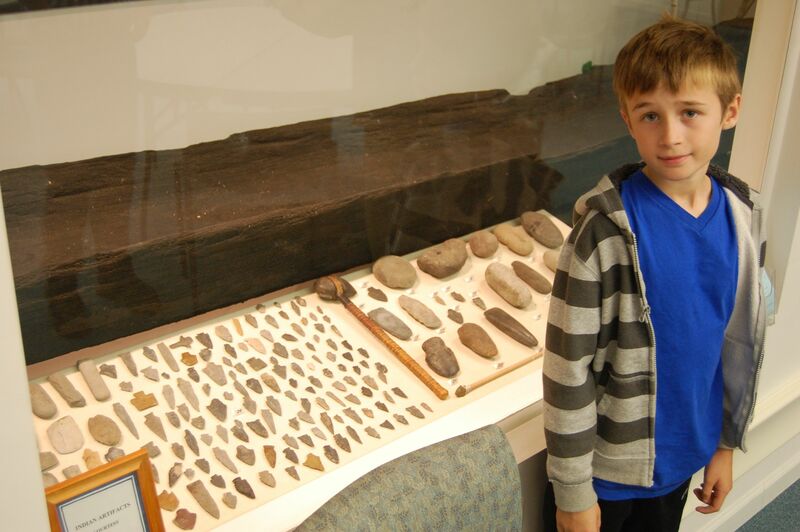 "From 10am to 4pm Saturday, children of all ages can enjoy learning about the past at an interactive children's activity booth with Kristin Joivell, teacher from Juniata Valley Elementary School. Children are welcome to visit the booth to make butter and sample their freshly made treat on crackers. Additionally, children can use a washboard to experience what doing laundry must have been like in the past. A craft activity for children to decorate socks to take home with them is also available at this booth for $1 per pair of socks until supplies run out." Hymn sing by the River. Montgomery Park (Water Street). 6:30pm. 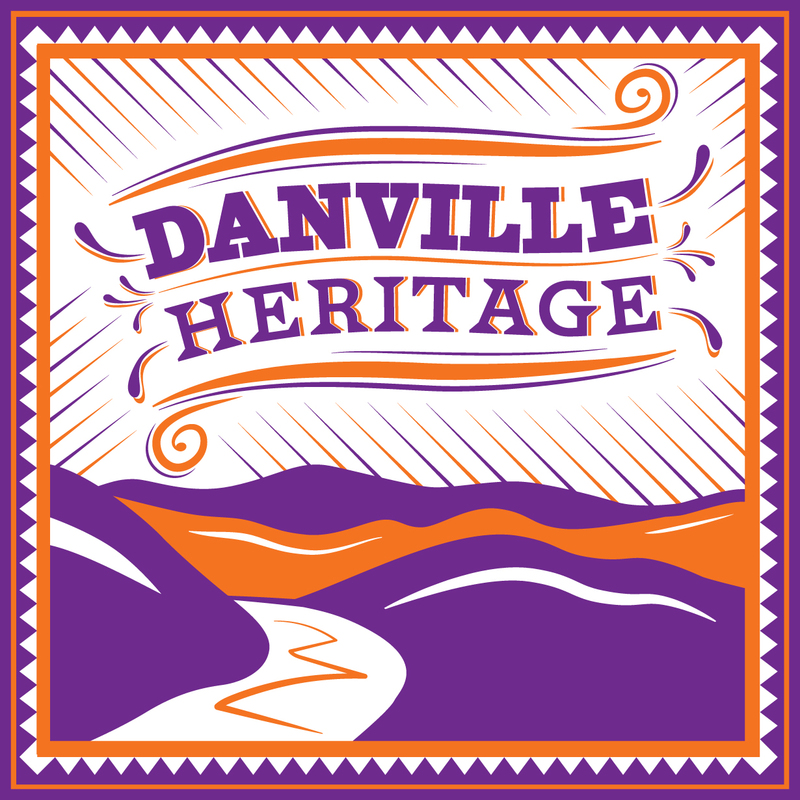 Announcing the Danville Heritage Festival to be held in and around Danville July 20nd, 2019. This will be a unique celebration of our regions heritage. 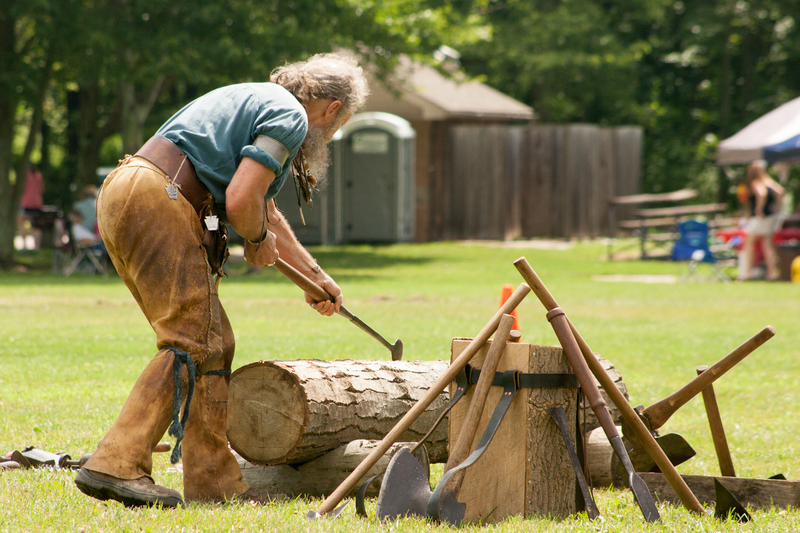 The event will be centered around the Hess Field complex in Danville and will feature living history demonstrations, speakers, and live music throughout the day. All events will be free and open to all ages. In addition to the events taking place at the Hess Field complex will be speakers hosted by the Thomas Beaver Library as well as other locations. This festival is not meant to take the place of the Danville Iron Heritage Festival. Rather, I am organizing volunteers hoping to preserve the celebration of Danville heritage that has become a July tradition for the town. It is my hope that the festival will serve as a focal point of other community celebrations, open houses, class reunions, block parties on July 20th. Whether you were a part of Iron Heritage Festivals or not, I welcome your participation. If you would like to offer presentations, music, etc please reach out to me via the website. If we reach a point were the Hess Field schedule gets filled to capacity, please consider exploring other local venues. Perhaps local churches and social organizations that have the facilities could consider opening their doors to help host heritage activities on July 20nd. If you do plan an event and would like it added to the listings on the website, just send the details to me via contact info on the website. After speaking with local historian Sis Hause, I’ve decided to really embrace health and wellness as much as possible along with our heritage celebration. Considering this is Geisinger Hospitals’ 100th anniversary, I couldn’t imagine a more fitting theme. 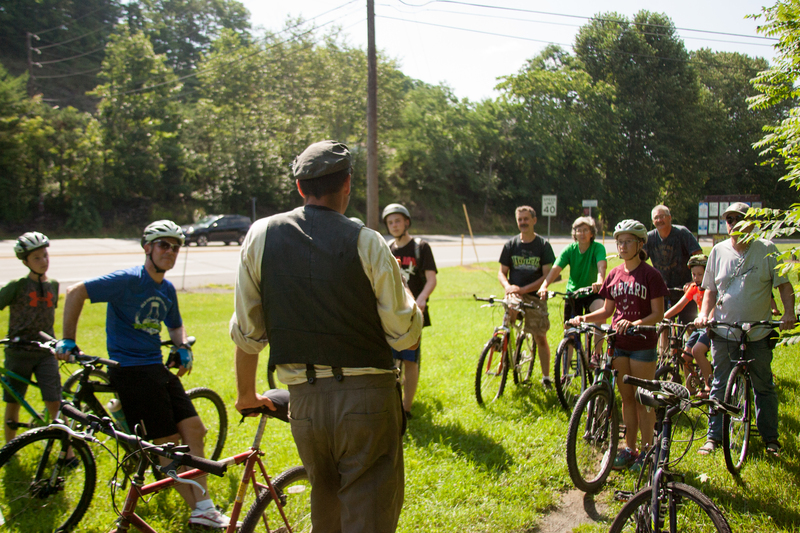 The bicycle path around Hess Field is the oldest rail-trail in the United States! I encourage people to consider walking or biking to Hess Field for the festival. There are plans to organize a skateboarding and scootering event,, a 5K, tennis, quoits, and more as part of the festival. Let’s embrace this chance to promote health and wellness while celebrating our heritage. 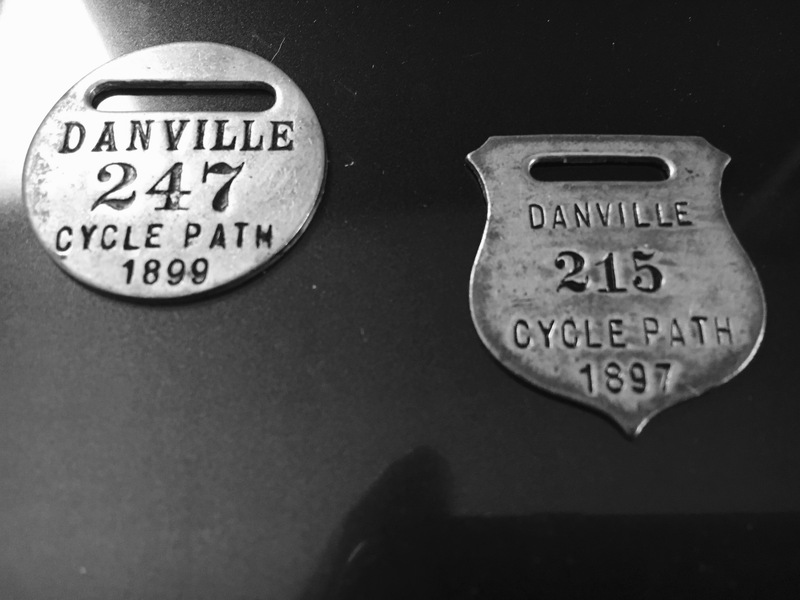 The Danville area has an amazing history. The knowledge and talent of local historians, performers, and musicians is unparalleled. The community has shown that we want to celebrate this heritage. Please mark your calendar and be a part of this exciting new chapter in celebrating our amazing story. On July 20nd, Danville is where you belong! People have lived in the Danville area for thousands of years. The area has been known by many names. The Susquehannock, and later the Delaware, Indians lived here for centuries. Unfortunately, we know very little about the people who lived here before that era (about 1,100 AD). By the late 1700's people of European and African American backgrounds began settling here. Some native people stayed and assimilated into the new culture, however many moved west along with thousands of other native people. Many of us living in the region today can trace our ancestry back to these original native inhabitants. In the late 1700’s, almost the entire economy of the region revolved around agriculture. The idea of owning land was something most immigrants had only dreamed of in their homelands. In America, this dream of owning and farming their own land became reality. 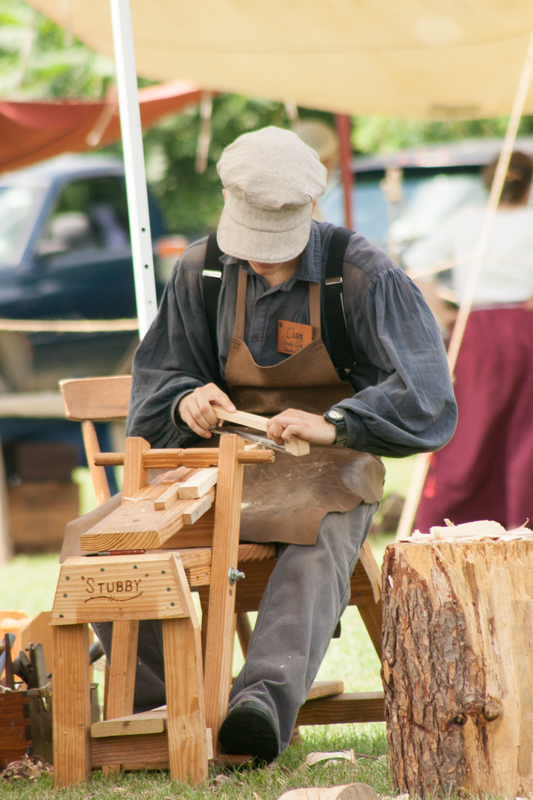 These farmers not only raised crops and animals for trade and sale, they also had to be expert woodsmen, stone masons, and countless other skilled trades. In many cases, they built their own homes, barns, and churches. 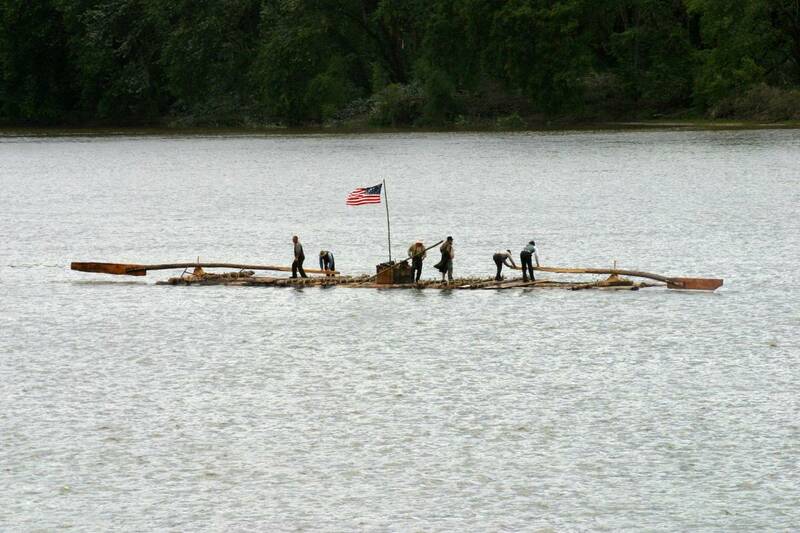 In that era, the Susquehanna River was the main means of travel and export. The name “Danville” was given by William Montgomery, a revolutionary war veteran and leader in colonial Pennsylvania, in honor of his son Daniel. For a few years before this, local people referred to the community as Montgomery’s Landing. 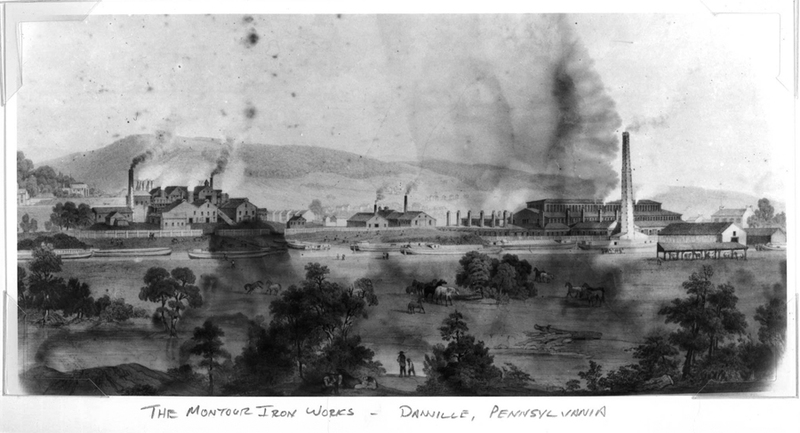 By the late 1820’s and early 30’s a budding iron industry was developing in Danville. Furnaces were constructed to smelt the local iron ores into cast iron products and pig iron for export. The earliest furnaces used charcoal. By the late 1830’s several local furnaces were using anthracite coal. They were among the 1st furnaces in the country to do this. At about the same era the Pennsylvania Canal came through the town making the export of local agricultural and industrial goods more efficient. The canal was also the way anthracite coal was transported to Danville’s iron furnaces from the Wyoming Valley. A major development came in the 1840’s with the addition of iron rolling mills. The rolling mills involved heating pig iron into moldable balls that could be fed through a series of squeezes making a product known as wrought iron. Among the most notable details from this era was the rolling of the 1st T-rail in America on October 8th, 1845 by the Montour Iron Company. The T-rail revolutionized transportation because it was the 1st rail design able to hold the extreme weight of locomotives in a cost efficient manner. Danville’s T-rails have been confirmed as being used to build at least some of the transcontinental railroad. The iron industry had its ups and downs for decades until it finally declined by the 1930’s. A combination of a worldwide transition to steel and the onset of the great depression brought to and end the era when iron was king in Danville. Some metal manufacturing still thrives in the area today, but nothing on the scale of the era when thousands of men and boys labored in the coal fueled furnaces of Danville. One of the benefactors of the iron, and coal, boom was George F. Geisinger. As a major player in the iron and coal trade, he was financially very successful. 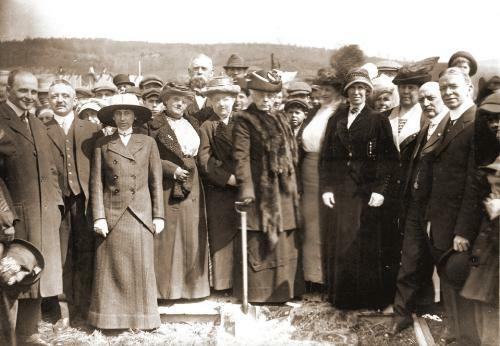 After his death, his wife Abigail funded the construction of the Geisinger Hospital, which opened in 1915. The hospital was and still is among the leading health care facilities in the nation. 2015 marks the 100th anniversary of this amazing hospital and the thousands of people who have worked there for a common good. I prefer not to view our local history as a series of “starts and stops” but rather a continuum of the human story. Danville did not begin with a “founding” in the 1790’s. Rather, it has been home to fellow humans for thousands of years and will likely be so for thousands more. Gene Shipe. 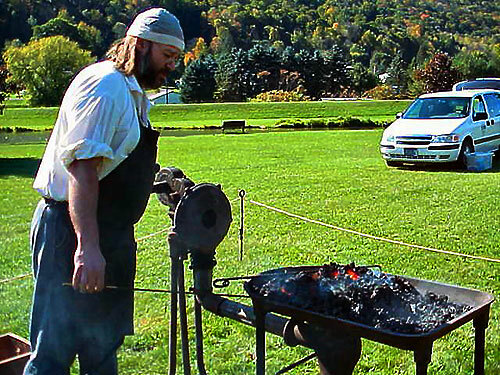 The Franklin Iron Furnace and Cider Press. 11am July 20nd. ***Historian John Moore will be on-site with Brad Becker at the cannon display area. @ 6:00 p.m. Canal path tour. We can park at the Canal Path Park on River Road. Just East of State Hospital. Parade. Bikers who wish to peddle in the parade are asked to meet 6:30pm at parade start location. Oldest Rail-to-Trail in the USA tour, 10am meet at trail head at Beaver Place. 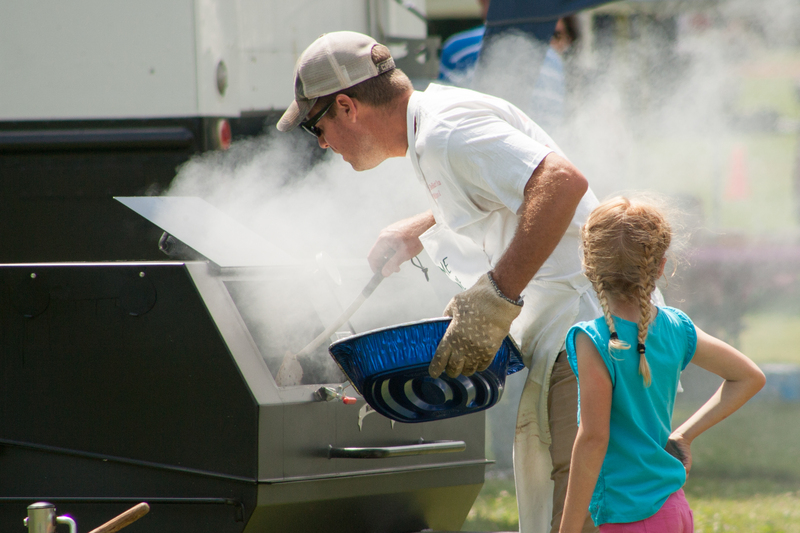 Contact Van Wagner for information on how you can help make this festival a success. Follow updates on our festival blog.